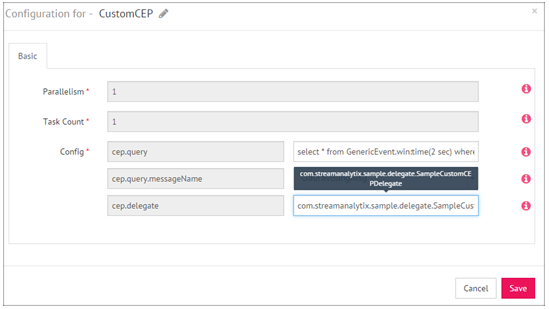 Complex Event Processing, CEP is used in Operational Intelligence (OI) solutions to provide insight into business operations by running query analysis against live feeds and event data. CEP relies on a number of techniques, including: Event-pattern detection, Event abstraction, Event filtering, Event aggregation and transformation. If you do not know how to write a query, StatisticalCEP enables you to select the defined fields such as Message Name, under Query tab to perform statistical functions such as Mean, Max, Average, etc. Fixed Window: the time window stays fixed for the window duration.